3 Phase Motor Rotation Tester identifies three-phase sequence. It will check for motor rotation along with checking for open phases. 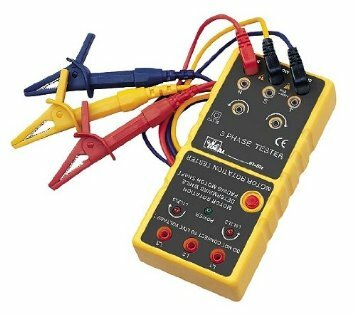 This tester is rated for use up to 600-Volt. Also check our Three & Single Phase Power Analyzers!